On a whim my husband and I bought this mere acre of land almost half a century ago. The site, bordering a small lake, was promising, but the “camp” that came with it was derelict. I figured that we could always sell it. Maine, however, captured our heart. One of its skillful builders transformed and enlarged the cottage into a space that easily absorbs our children and grandchildren for a family vacation, but remains cozy when my husband and I are alone. 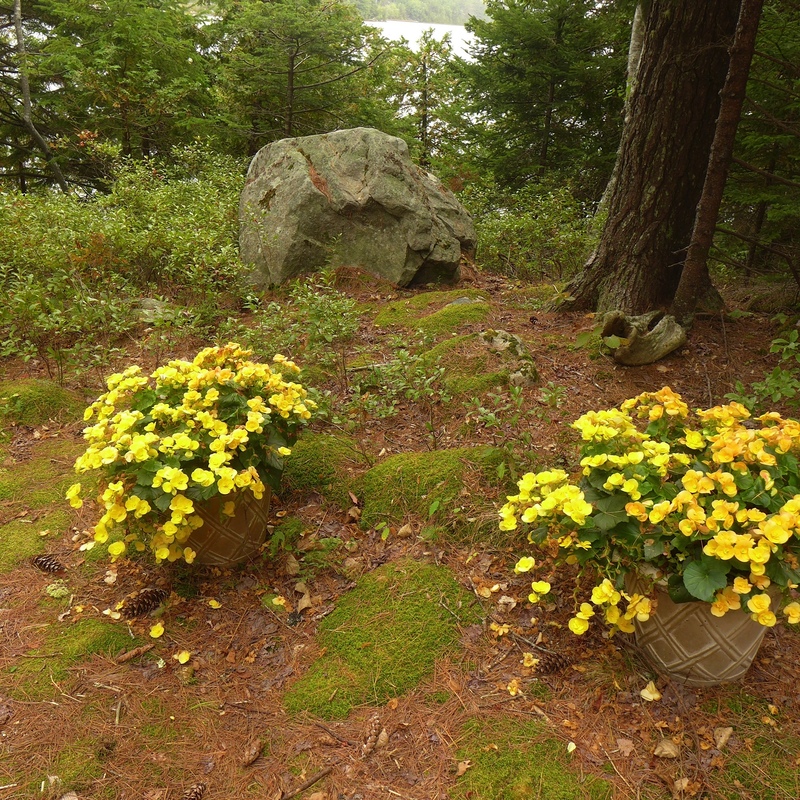 The cottage sits amidst moss-covered rocks, scraggly pines, and blueberry bushes, enlivened by oversized pots filled with yellow begonias and red fuchsias. Even now in October they still bloom, somehow having miraculously escaped being eaten by voracious deer. When back in what I consider “my real life,” I’ll miss Maine’s humane, leisurely pace. Just the other day in Maine I went to the local post office, whose counter is not shielded by bulletproof plastic panels. I simply want to check the weight of a stamped envelope that might require more than the current 48-cent standard postage. The letter indeed required an additional 22 cents and I only had 10 cents with me. “Larry,” the clerk yelled, “she is short 10 cents.” Before Larry, the postmaster, could decide on a course of action, the guy behind me proffered the needed twelve cents. I have been back a mere few days and Maine is a golden memory. Here in Brooklyn I am surrounded by the love of my daughter, son-in-law and grandchildren. More than that, three times a day Viva, my poodle, and I walk along the Brooklyn Heights promenade. We share our space with an assortment of young and old, black and white. It is an urban crowd, encumbered by baby carriages, strollers and walkers. I don’t remember seeing any of these in my car-based, Maine world. Scores of dogs rub noses with Viva, and she seems intoxicated by their smell. A young woman with shiny eyes bends down to pet her. “I got married yesterday, over there at the Water Club. See my T-shirt? It says ‘MRS.’ Forgive me, I am a bit off my rocker.” After some pleasantries I wish her good luck. The sun is about to set, but before it disappears it kisses the waters of New York Harbor. I admire Manhattan’s incredible skyline, Lady Liberty, who so bravely holds up her torch, and the Brooklyn Bridge, which since 1883 has been a symbol of American prowess. How lucky I am to have two beloved worlds. This entry was posted in Uncategorized and tagged acadia, acadia national park, brooklyn, brooklyn heights, dogs, family, maine, mount desert island, poodles, travel, viva. Bookmark the permalink. And how lucky > I < am that you have shared those worlds with me. Ditto to Robert’s words. Though I would have shared them with you to some degree just by virtue of being your niece, your writing enables me to get so much more, and to share your experiences with your great-nephew and niece. It is a great gift. Love ya!